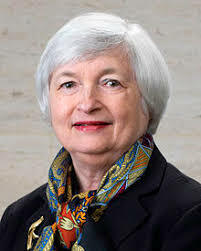 Former U.S. Federal Reserve chair Janet Yellen said on Monday the U.S. Treasury yield curve may signal the need to cut interest rates at some point, but it does not signal a recession. Yellen, who led the Fed between 2014 and 2018, was speaking at the Credit Suisse Asian Investment Conference in Hong Kong. The yield curve inverted on Friday for the first time since mid-2007, a shift that has in the past signaled the risk of recession. 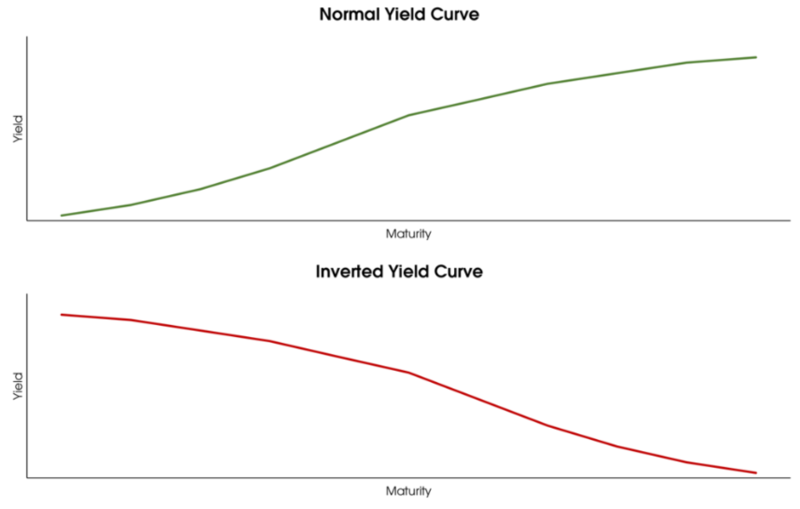 The term yield curve refers to the relationship between the short- and long-term interest rates of fixed-income securities issued by the U.S. Treasury. Typically, short-term interest rates are lower than long-term rates reflecting higher yields for longer-term investments due to the higher risks associated with long dated maturities. Also, in a growing economy, investors demand higher yields at the long end of the curve to compensate for the opportunity cost of investing in bonds versus other asset classes. 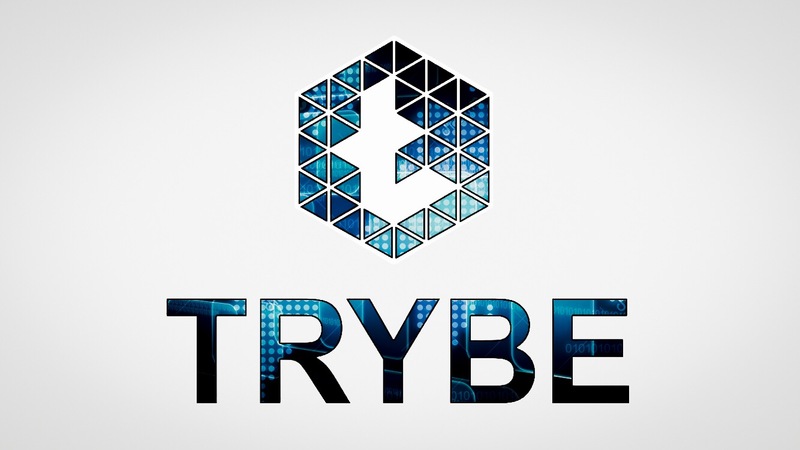 As the economic cycle begins to slow, investors tend to buy long Treasury bonds as a safe harbor from falling equities markets. As more and more investors begin to buy long-term bonds, the Federal Reserve lowers the yield rates. The inverted yield curve is the single greatest indicator of a coming bear market. The inverted yield curve has predicted the past 5 recessions going back to the late 1970’s. 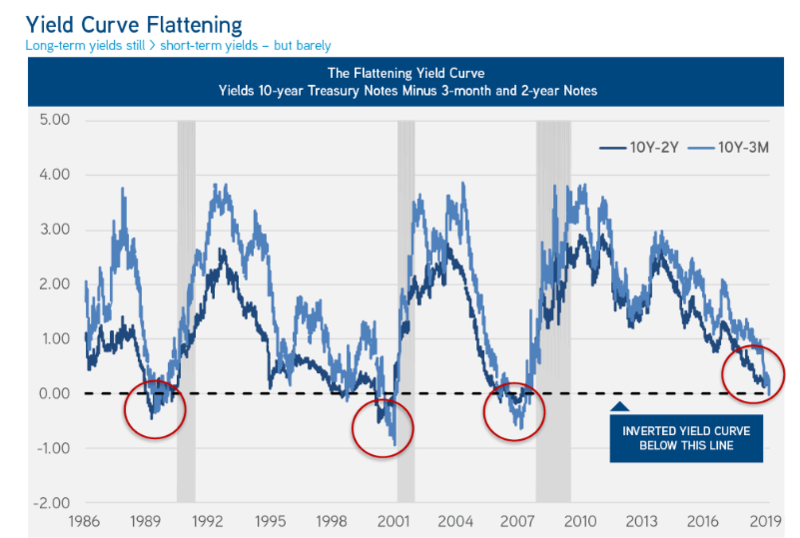 The most recent inverted yield curve first appeared in August 2006, as the Fed raised short-term interest rates in response to overheating equity, real estate and mortgage markets. The inversion of the yield curve preceded the peak of the S& P 500 in October 2007 by 14 months and the official start of the recession in December 2007 by 16 months, eventually leading to the Great Recession in which the S&P 500 dropped 50%. So don’t listen to Yellen, listen to the charts. The 3 month and the 10 yr note inverted last week. What I have been monitoring for the last 15 months has been the 2 yr and the 10 yr treasury spread. And the chart above suggests, it’s close to inverting. If and when it the yield curve inverts, don’t panic, just know based on the past 5 inverted yield curves, a recession is looming. Bitcoin, EOS, ETH and XRP Analysis: DECISION POINT? Fortnite now represents 1/4th of TOTAL Sports Videos Watched on Youtube !